Looking at the importance of CES 2013, many big companies and device manufactures are currently busy with the development of new concept devices and many are even giving the final touch to their devices. In the same row, Lenovo is also expecting to come up with a new 5 inches dual SIM device. If the sources are to be believed then Lenovo is working on a phablet having 5 inches of display offering resolution of 1080p and might also be accompanied by 13 MP rear snapper. 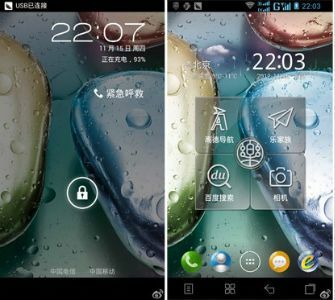 The device leaked images were first published on the Sina Weibo website, however it was soon gone offline. The screenshot of this device is available with us and it can be clearly seen that the expected device will gonna be a phablet having whopping 5 inches display and would be running on Customized Lenovo Android UI. Well for sure watching CES 2013 would be quite interesting and this could be clearly sense by looking at this impressive device from Lenovo. SlideSpeech App Review – Taking Presentations To Next Level! Idol Words Android Game Review: Addictive Word Puzzle Game For Android Users!